Aristotle (384BC – 322BC) A Greek philosopher, natural scientist and polymath, who made extensive studies into the world around us. Aristotle’s investigations and studies developed the foundations for Western intellectual studies. 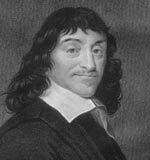 His writings formed the basis for much knowledge of the first Millennium. Living in the same time period as Plato and Alexander the Great, Aristotle helped lay the foundations for western civilisation through his wide range of intellectual and scientific studies. Aristotle was one of the great polymaths of his time. He studied under Plato and therefore learnt much about the great philosophic traditions of Socrates. 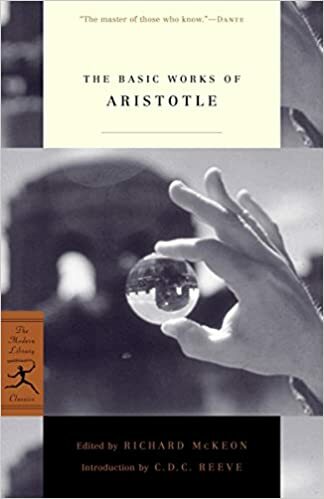 But, Aristotle was more than just a good student; he had an independent mind and was able to question many different things and sought to resolve difficult questions and previously unsolvable problems. He made studies in botany, physics, philosophy, logic, and was well known for being a powerful lecturer and debater. He was also regarded as a kindly man, compassionate to others. In the field of physics, Aristotle’s ideas influenced much of the medieval period and lasted into the European Renaissance. His ideas were later replaced by the physics of Isaac Newton. Aristotle believed in the power of reason to illuminate the problems of man. He believed that man had the capacity for enlightenment through self-inquiry and study. He believed that human goodness derived from rational thought. Aristotle was also a playwright and he described how the weakness of man – pride, anger, jealousy, could lead to his downfall. Aristotle was also the teacher of the future Macedonian King – Alexander the Great. Aristotle taught the future king, political philosophy, history and ethics. Alexander the Great was to ignore much of Aristotle’s teachings such as the desirability of oligarchic leadership, but, his education by Aristotle must have left an abiding impression on the young prince. 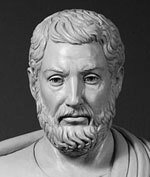 Aristotle’s work Politics is an attempt at a practical philosophy to allow justice and freedom. He also saw politics as a method of ensuring man had the capacity to live harmoniously and allow him to pursue noble ideas. 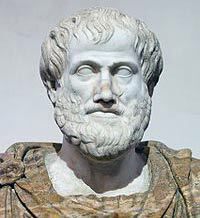 In addition to the above interests, Aristotle pioneered the study of zoology, logic and helped in the development of medicine, optics, and ethics. Aristotle was one of the few classical philosophers who strongly influenced later Christian writers such as Thomas Aquinas. Citation: Pettinger, Tejvan. “Biography of Aristotle”, Oxford, UK. www.biographyonline.net 23rd July 2011. Last updated 1 March 2018.